Urban Environmental deals specifically with toxic mold (mould) remediation, contaminated vermiculite removal and asbestos abatement issues. These both pose health concerns and require special isolation and decontamination procedures, which can be done by our certified professionals. 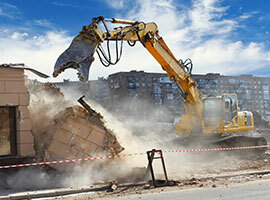 When it comes to Maple Ridge Asbestos Removal, the only name you need to remember is Urban Environmental to safely remove asbestos in Maple Ridge. Asbestos is a nasty building material, and as newer and newer houses are built here in Maple Ridge, asbestos continues to be the thorn in the construction industry. Here at Urban Environmental we continue to be the go to name in Maple Ridge asbestos abatement. With our specialists on scene, the once week or longer process can be done in mere days. We safely remove all remnants of asbestos, and more importantly decontaminate all of the materials that is touched. Call us today, and see the difference a true professional company can make to your business or home. Maple Ridge mold removal should only be trusted to the experts at Urban Environmental, and when you need to safely remove mold in Maple Ridge you know exactly who to call. Mold continues to fester, long after you scrub the row of black mold growing on the bathroom wall. 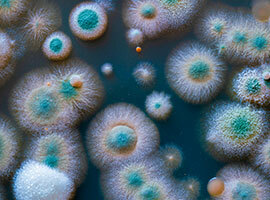 We have been in the business for years, and know that once mold begins to show and grow, chances are you in for a fight. Urban Environmental is who you want in your corner when you battle mold, and the only choice when you are looking for Maple Ridge mold remediation. Our teams will be able to locate, eradicate and safely decontaminate the problem areas so that no one in your family is at risk, especially your pets and children. Call today, and find out how the experts at Urban Environmental can help your home get back on track. We here at Urban Environmental continue to deliver exceptional other services. Here in Maple Ridge we continue to deliver the best in other services for our amazing clients. If you have been dealing with a possible grow-op, we here at Urban Environmental continue to be the number one grow-op testing company. With our tests, you will be able to find out if your tenants have been producing illegal cannabis, or even if you are moving into a new home and not sure of its history, you can be sure. We also continue to be the top rated vermiculite removal company in the Maple Ridge area. With asbestos, and other chemicals within its composition, you need to call the experts at Urban Environmental for removal. Call today, and experience the difference an amazing company like ours can do for your home or business. Servicing : Vancouver, North Vancouver , West Vancouver , Richmond , Burnaby , New Westminster , Chilliwack , Delta, Coquitlam , Langley , Surrey , Abbotsford , White Rock, Port Moody, Squamish , Port Coquitlam, Maple Ridge , Mission.